Rusagro is one of the largest agricultural companies in the Russian Federation. The total area of its land holding is 675 thousand hectares. The total capacity of its 4 grain elevators is more than 735 thousand tons. PrimAgro JSC is located in the Primorsky region. Kshenagro LLC is located in the Kursk region. Otradaagroinvest LLC is located in the Orel region. All commercial farms are located nearby such processing facilities as sugar plants, animal feed mills and grain elevators. The grain is used as the material for the production of animal feed on Rusagro pig farms. Having four grain elevators among its assets, the company has the opportunity to condition and store the grain in the course of the year. The development of agricultural programs in the region makes it possible to sell excess agricultural produce on the market. Rusagro agricultural business makes the top three largest sugar beet producers in Russia. Rusagro-Invest LLC saw 41 thousand hectares of sugar beet crop produce 1.6 million tons of gross collection. Agrotechnologies LLC produced more than 1.5 million tons of gross collection on 35 thousand hectares of sugar beet crop. 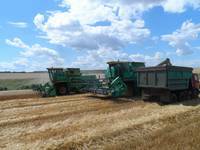 Kshenagro LLC produced more than 248 thousand tons of gross collection on 6.5 thousand hectares of sugar beet crop. Otradaagroinvest LLC produced more than 334 thousand tons of gross collection on 9 thousand hectares of sugar beet crop. 99,9% of harvested sugar beet is delivered to the company's processing plants. Cutting edge technologies are used in the fields for agricultural crop production on the basis of using wide-coverage high performance agricultural machinery. Machinery selection is based on the role played by excellent quality of field operations, ensuring maximum energy and soil conservation. All machinery is equipped with trailed and mounted implements, which are able to fully absorb the power of the tractor or combine engine and operate on as much wide front as possible. The company actively uses environmentally friendly technologies that are environmentally friendly. In the farms are introduced sideral and clean pairs, rocking crops. Every year a systematic study of soil fertility is conducted and scientifically based crop rotations and fertilizer application systems are compiled. 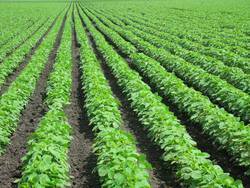 In particular, plans are being developed for the use of fertilizers for each crop, taking into account the variety, the hybrid, the degree of soil fertility in each field. "Address" fertilization allows you to get close to the maximum return and eliminates the cost overrun of expensive material. Also, specialists of the Company are studying, testing and introducing the latest high-yield varieties and hybrids of agricultural crops into production. In 2017, positive results of production tests were obtained to improve the quality of winter wheat and soybean, soybean and sugar beet seed.